The Learning in Afterschool & Summer learning principles have made great inroads to the quality conversation in California. These principles serve as a core to the program quality standards recently recommended to CDE and they have appeared in several important field reports and documents. It is not enough that the LIAS principles are well-known and being used by some programs. 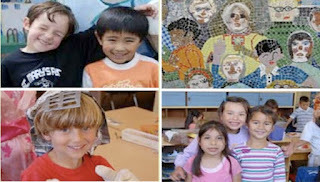 They have to make their way into the design of and day-to-day practice of many afterschool programs. Several orientation and training activities that program leaders can use to introduce these principles to their staff and school stakeholders. 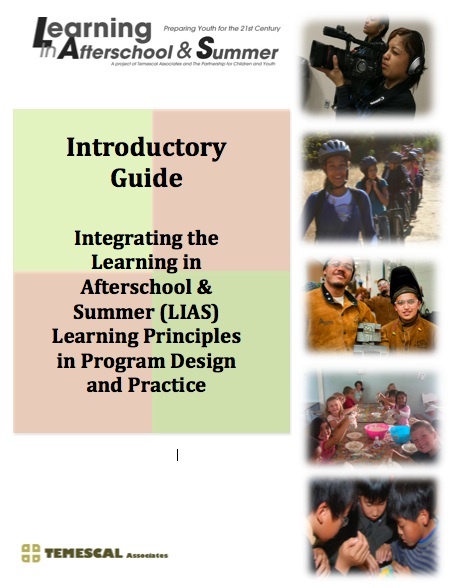 This introductory guide can be purchased by writing to the Learning in Afterschool & Summer project at contact@learninginafterschool.org. The purchase price of this 118-page color guide is $30, plus postage. 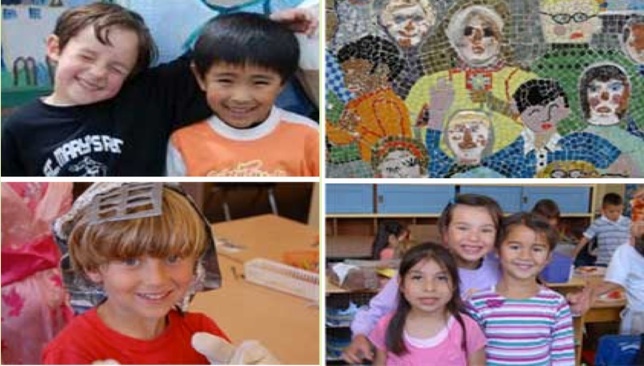 Introduction to the LIAS Learning Principles – This is a half-day, interactive training introducing staff to the LIAS learning principles and how they might be applied to afterschool and summer programs. This training includes brief videos of national afterschool and educational leaders reflecting on the LIAS learning principles. Implementing the LIAS Learning Principles – This half-day, interactive training addresses methods for implementing the LIAS learning principles. It includes how to use an observation rubric to assess program alignment and explores best practices in applying these principles. This training includes brief videos of national afterschool and educational leaders reflecting on the LIAS learning principles. An Extended Learning Community on Program Improvement to Better Implement the LIAS Learning Principles – This multiple meeting approach brings program leaders together to closely examine each learning principle, assess their current alignment, explore best practices, and promote program improvement through developing and implementing improvement plans. We successfully piloted this approach with program providers from Oakland Unified School District. This training includes brief videos of national afterschool and educational leaders reflecting on the LIAS learning principles, the 118-page LIAS Implementation Guide, and other materials to introduce these concepts to school and program personnel. Training Older Youth in LIAS Program Implementation – This one-day, experiential leadership training is designed to prepare youth to assess their own program or another program using the LIAS observation rubric. Young people are trained on how to develop their findings and communicate them with program leaders. They are also prepared to formulate ideas as to how to improve program activities. This workshop is an excellent way to involve and engage youth leaders in program improvement. BRIEF VIDEO INTERVIEWS WITH NATIONAL AFTERSCHOOL AND EDUCATIONAL LEADERS – This DVD contains ten interviews with national leaders reflecting on the relevance of the LIAS learning principles. They include leading researchers, school superintendents and principals, and afterschool and summer program activists. This is a very useful tool in introducing the value of the LIAS learning principles to program staff, school personnel, and other stakeholders. This DVD is available for purchase.